Hello Investors. Today we are going to discuss one of the hottest topic in the investing world- Full-service broker vs discount broker and which one to choose? However, before moving forward, let us first understand who is a stockbroker. A stockbroker is an individual/organization who is a registered member of the stock exchange and are given license to participate in the securities market in place of its clients. Stockbrokers can directly buy & sell stocks in the share market on behalf of their clients and charge a commission for this service. They are traditional brokers who provide trading, research, and advisory facility for stocks, commodities, and currency. These brokers charge commissions on every trade their clients execute as a percentage of each trade executed. They also facilitate investing in Forex, Mutual Funds, IPOs, FDs, Bonds, and Insurance. Discount brokers just provide the trading facility for their clients. They do not offer advisory and suits for a ‘do-it-yourself’ type of clients. They offer low brokerage, high speed and a decent platform for trading in stocks, commodities and currency derivatives. 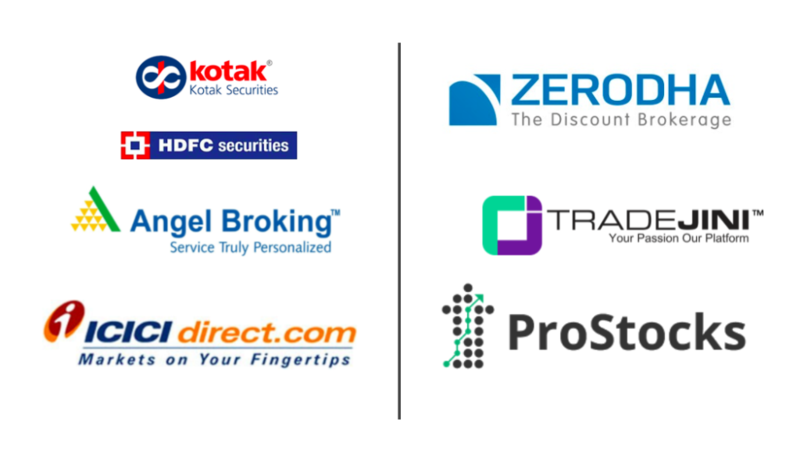 A few examples of discount brokers are Zerodha, ProStocks, RKSV, Trade Smart Online, Achiievers, SAS online etc. Brokerage They charge commission in percentage terms of each trade executed. They offer a flat fee on each trade executed. Brokerage rates Typically between 0.3 – 0.5% Generally Rs 20 per trade. Primary Service They provide trading platform along with advisory for investment. They only provide a trading platform (no investment advisory provided). Suitable for Full service brokers suit those who want advisory for their investment. The discount broker is suitable for those who research on their own or have a financial advisor. Research Department They have their own research departments for advisory. No such department. Network They have a large number of branches in different cities. They do not have many branches. Customer service Face to face customer service available. Online services for customers. 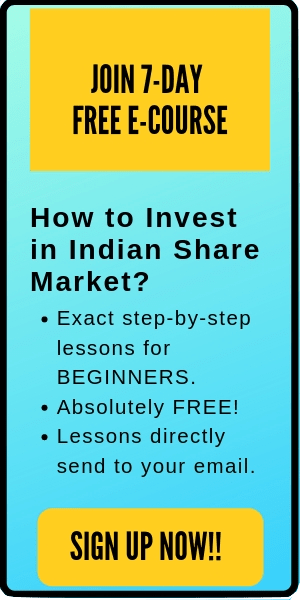 Examples/ Top Brokers ICICI Direct, HDFC sec, Kotak securities, Sharekhan, Motilal Oswal, Angel Broking, Axis direct, Edelweiss, Aditya Birla money etc Zerodha, Prostocks, RKSV, Trade smart online, Tradejini, SAS online etc. The answer depends on your knowledge, preference and time. If you want stock advisory for your investment, then you should choose a full-time broker. On the other hand, if you want to do research on your own or you have a financial advisor, then you should choose a discount broker. Further, you should also consider brokerage charges carefully before selecting your stockbroker. I will highly recommend you to choose a discount broker (like Zerodha) as it will save you a lot of brokerage amount. Initially, I started with ICICI direct (which is a full-service broker), but soon realized that it was too expensive compared to the discount brokers. Moreover, I wasn’t using the advisory facility by the ICICI direct. Hence, it didn’t make sense to pay extra brokerage charges even if I can get similar benefits on the cheaper stockbrokers. I then shifted from ICICI direct to Zerodha. 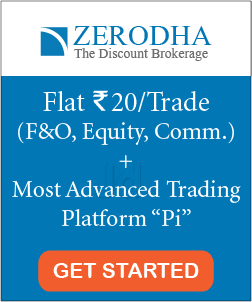 Zerodha (discount broker) charges brokerage of 0.01% or Rs 20 (whichever is lower) per executed order. This is way cheaper compared than ICICI direct (full-service broker) which asked a brokerage of 0.5% on each transaction. If you buy stocks for Rs 50,000 in ICICI direct, then you have to pay a brokerage of Rs 250 (on the other hand, Zerodha will ask only Rs 20, a difference of Rs 230). In addition, as this amount is charged on both sides of the transaction (buying & selling), hence you have to pay a total of Rs 500 for the complete transactions (way too expensive compared to a total brokerage of Rs 40 on both sides of transactions in Zerodha). In short, if you are new to investing and want to open a trading account, I would recommend choosing discount brokers, so that you can save lots of brokerages. However, in the end, it’s your knowledge, preference and time that matters the most while selecting a stockbroker. If you have enough knowledge and time for your stock research and prefer not to pay an extra commission, then you should go for a discount broker. On the contrary, if you do not mind paying extra commission for the advisory services to save your time, you can select a full-service broker. That’s all for this post. I hope you have understood the difference between full service brokers vs discount brokers. Further, if you have any doubts, do comment below. I will be happy to help you out. Happy Investing.